Home » Yoga Thoughts » A Step Backward Is Not A Disaster. Backward steps have happened to all of us. A boyfriend or girlfriend surprisingly dumps us. We aren’t accepted into the program for which everybody thought we were a shoo-in. We suddenly get sick or injured. We lose the spot we’d worked so hard to earn on the team. We’re let go from our job. If life is consistent in one way, it’s that it very rarely (if ever) moves only forward. No matter how hard we’re working or how well we’re doing, we can bank on the fact that progress will always be interrupted by a little (or not so little) step backward. This is OK. 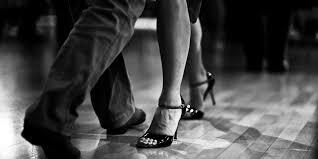 In fact, it’s more than OK. Backward steps are a necessary part of the dance of life. And they almost always bear gifts that take us further forward than we could ever have gotten without them. Nothing has reinforced this truth for me like my yoga practice. Over and over again, I’ve had stretches where I’m cruising away on my mat smooth and easy. I might be witnessing a tight muscle open. Or a challenging posture evolve. Or I might simply feel less stiff and sore as I start my practice each morning. These times of progress are awesome. I love them. We all do. But I’m here to tell you that they never last. Not only do they never last, but their end often seems to come out of the clear blue. In fact, typically, just before a backward step, I take a huge step forward. I can recall many: the day I noticed that I could palm the floor in a forward fold; the first time I lifted into headstand away from the wall; the day I was able to tuck my legs into lotus position and stay there without grimacing. I remember my backward steps just as vividly. Just days after I noticed I could easily palm the floor in my forward fold, I did it again. And pulled my right hamstring seriously enough that it took months to heal. The day after my first solo headstand, I decided to “go public” and do one in class. Instead, I performed a dramatic back-flop onto the hard wood floor. After months of being able to comfortably tuck into lotus, I came home from a trip to Israel unable to get into the posture at all. For almost a year, I (half-) joked that I’d left my lotus in the Holy Land. My first yoga step backward felt like a disaster. I catastrophized: What would I do if I couldn’t get the posture back? I over-analyzed: What was wrong with me? I slipped into stubborn denial: meaning I did it despite the pain it caused. My first yoga step backward also taught me that a step backward is an opportunity to rework the foundations of something you’ve already mastered. A step backward is a chance to change your perspective and recreate your habits. A step backward is always an experience that leaves you both smarter and safer. With time and experience, I’ve developed the optimistic certainty that steps backward are no more permanent than steps forward. They happen. They’re not super fun. Sometimes they hurt. But they end. And when they do, they leave us in a better place than we were in before. I have not taken a single step backward on my mat for which I have not wound up feeling profoundly grateful. Without the step backward, I would never have gained a critical element of understanding or my body would not have finally changed the way it needed to. The same is true of steps backward in life. No matter how heart-breaking, a break-up leaves you open for an even better relationship. Not getting into one program often inspires us to think more creatively and broadly about our path. Illness and injury not only leave us keenly aware of the gift of wellness, but more inspired to practice self-care and nurturing habits that keep us healthier going forward. Losing a job is often the kick in the pants we needed to find a position that allows us to stretch and grow. In short, steps backward are a necessary part of the dance of life. If you embrace them with the same optimistic energy as you do your steps forward, your dance will begin to feel as joyful and lighthearted as the cha cha.